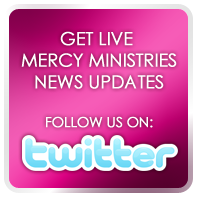 Mercy Ministries News: Mercy Ministries Celebrates Official Dedication and Ribbon Cutting of First West Coast Home! Mercy Ministries Celebrates Official Dedication and Ribbon Cutting of First West Coast Home! This past weekend, November 7th and 8th, staff, residents and friends gathered together to celebrate a huge milestone in the 26 plus year journey of Mercy Ministries. Thanks to a generous gift of $2.5 million and one acre of land, donated by the Buzz Oates Charitable Foundation, Mercy Ministries’ supporters were excited to share in the joy with the official dedication and ribbon cutting ceremony of its first West Coast home in Lincoln, California. Greg and Kathy Fairrington, pastors of Sunset Christian Center and daughter and son-in-law of Buzz Oates, welcomed guests and opened the ceremony in prayer (pictured below). Guests heard from special music guests, Austins Bridge, up and coming Christian artists, and were excited to have Holly Wagner, founder of GodChicks and Co-founder of Oasis Christian Center and Mercy Ministries’ Founder, Nancy Alcorn as keynote speakers. Several other key supporters echoed their congratulations for the ministry’s milestone including Ken Mansfield, former president of Apple Records and manager of the Beatles U.S. career Jerry Manuel, Manager of the New York Mets, and his wife Renette, and 2006 Mercy graduate Ashleigh Stevenson, who is originally from the Northern California area. Buzz Oates and his entire family along with Mercy Founder Nancy Alcorn stood together as Nancy prayed the official prayer of dedication and Buzz cut the ribbon. Following the ribbon cutting, guests had the opportunity to tour the new home and greet fellow supporters at a reception inside. Buzz Oats and Nancy Alcorn entering the home for the first time! Then on Sunday, Mercy staff and residents hosted an open house from 2 – 6 pm. This gave those who were unable to attend the dedication on Saturday night an opportunity to see the home as well as those who were at the dedication to bring their friends out to see the new Mercy home. Close to 1,000 people walked through the home this past weekend, including those who attended the dedication ceremony on Saturday and those who attended the open house on Sunday. A big thanks to the many volunteers and staff who have worked tirelessly to make this celebration a reality. 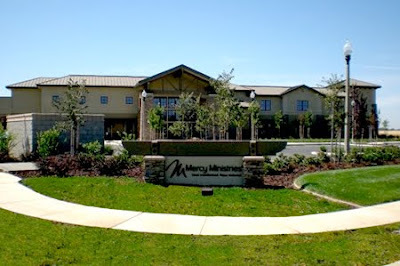 Mercy Ministries would also like to thank the Sacramento community for welcoming our staff and our residents with open arms. This community and the faithful generosity of our supporters have made it possible for us to take 40 more hurting girls off our waiting list. If you are interested in knowing what needs still exist or would like to sponsor a room in the California home, please contact Selah Hirsch at shirsch@mercyministries.com.